Southern mainland of France. The Mediterranean Sea. Cote d’Azur. Chilly blue waters. Crisp summer air. Pebble beaches. This recipe is for no other place in Europe, but the French Rivera. Made up of sand and shingle beaches, the French Rivera coastline runs for 560 miles roughly from Saint Tropez in the West to Italian borders in the East. World-famous chill-out spots like Cannes and Nice are just two of the gems in this treasure box. As a stop on my Europe trip, I camped in Antibes, spent a day in Nice and a lovely evening in Monaco. 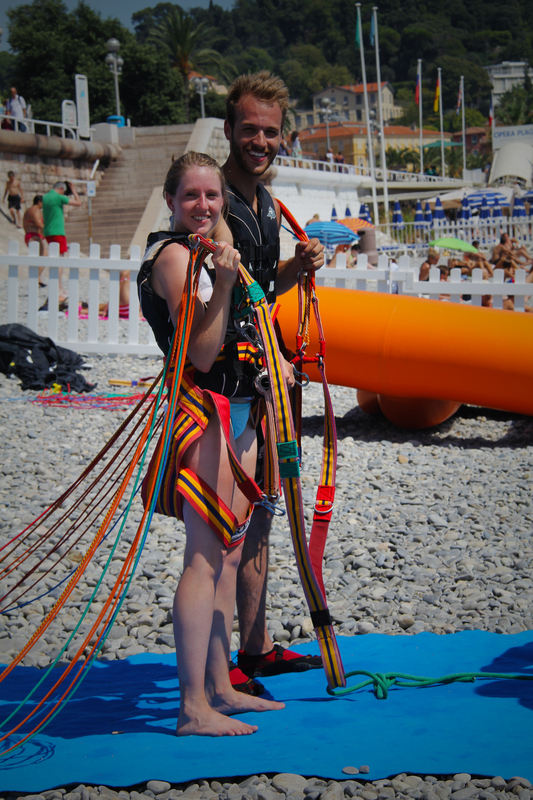 All these definitely deserve their independent blogposts, so this one will be dedicated to a little adrenaline-pumping adventure I undertook in Nice. This home of the rich and the famous is where natural beauty meets lavish living, both attractive sights for tourists. You can either enjoy a swim in the deep blue sea, or plant yourself on the pebble beach and be on the lookout for attractive nudists. You can either be swamped under the weight of shopping bags you collected on your stroll down Avenue Jean Medecin, or feel bloated by the baguettes and slushies you picked up because your hands (and stomach or throat) felt empty. You can also take a leisurely stroll down the beautiful Promenade des Anglais, avoiding rollerblading tourists but being on the lookout for Ferraris zooming casually around the corner. 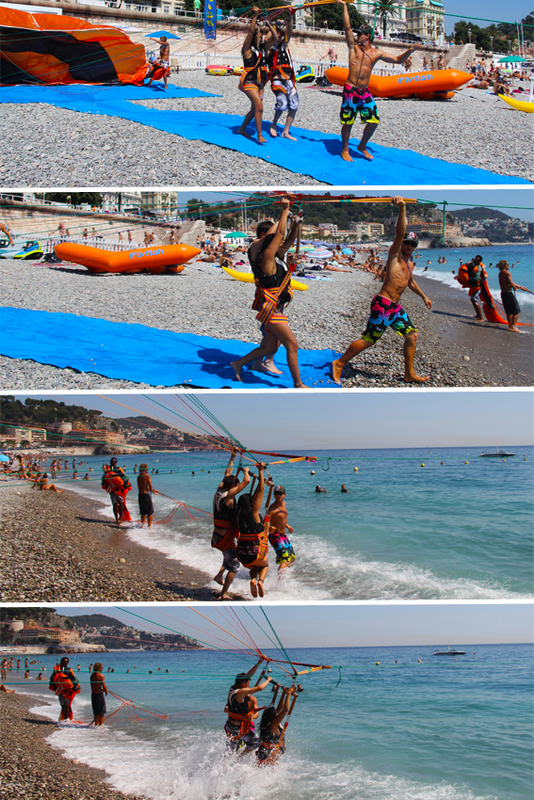 Or, you can parasail, like my friends and I did. The salty seawater had seeped through to my deepest pores after an hour of doggie-paddling and the golden sun was a little difficult to enjoy thanks to the slightly uncomfortable pointy pebbles. 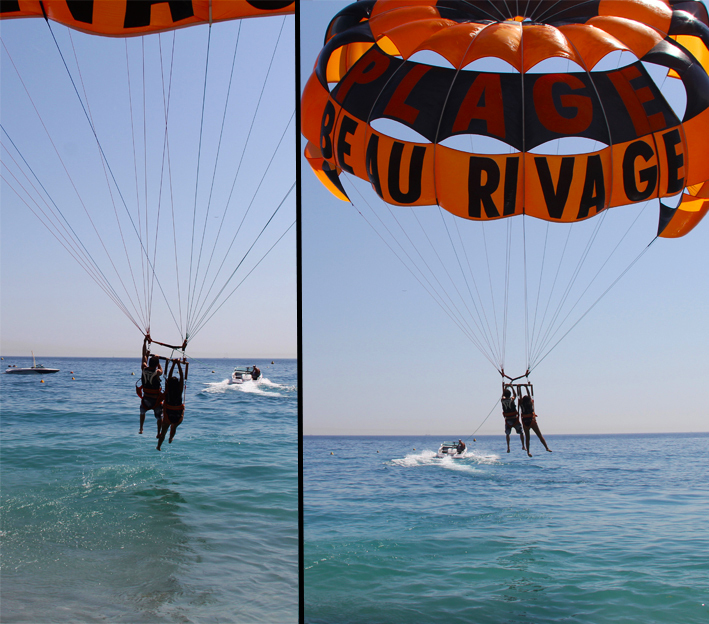 So four of us adventurous Canadians decided to parasail. Two at a time, we strapped on our gear, paid the price and lined up to check out Nice from an aerial point-of-view. 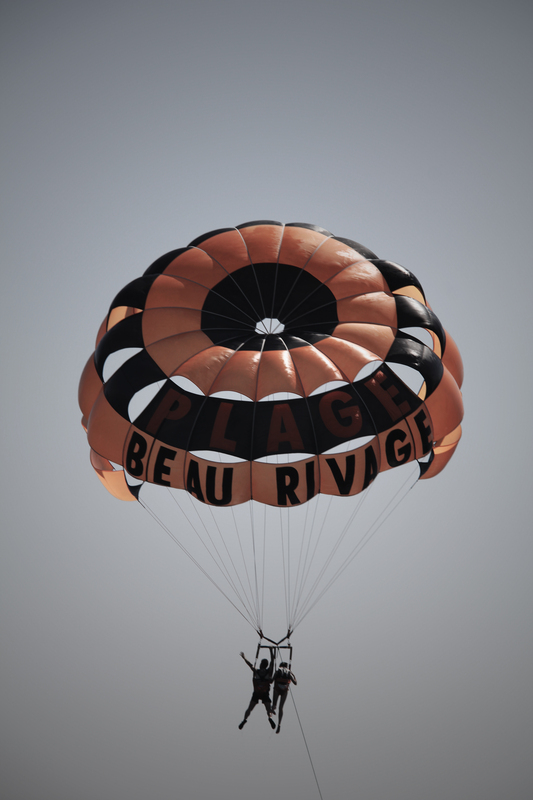 Just in case I had any doubt in my mind, after I saw my buddies launch into the air and crash into the salt water, I was convinced Jacques [my Canon 60D] couldn’t handle it. So, I couldn’t capture any birds-eye-views of beautiful Nice on the SD card (but they are of course embedded in my memory). 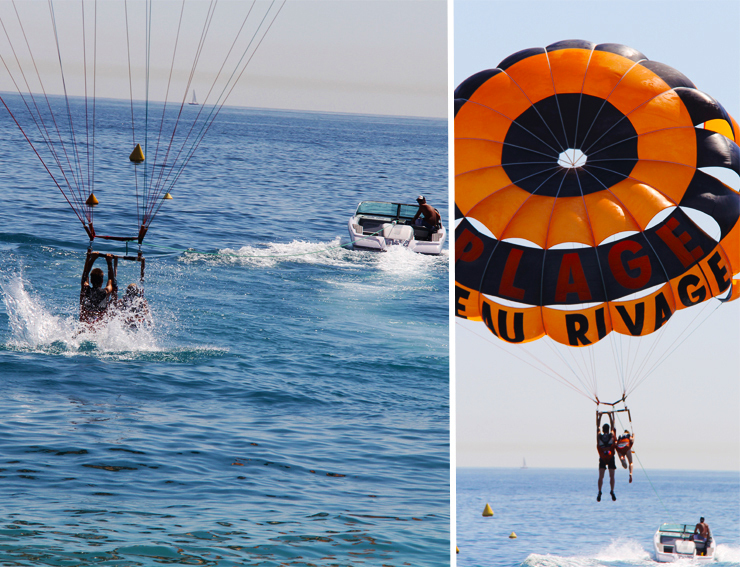 What I was able to catch, with the help of the lady who ran the parasailing gig and was married to a photographer, are these images of us getting ready, launching off, and crashing down. 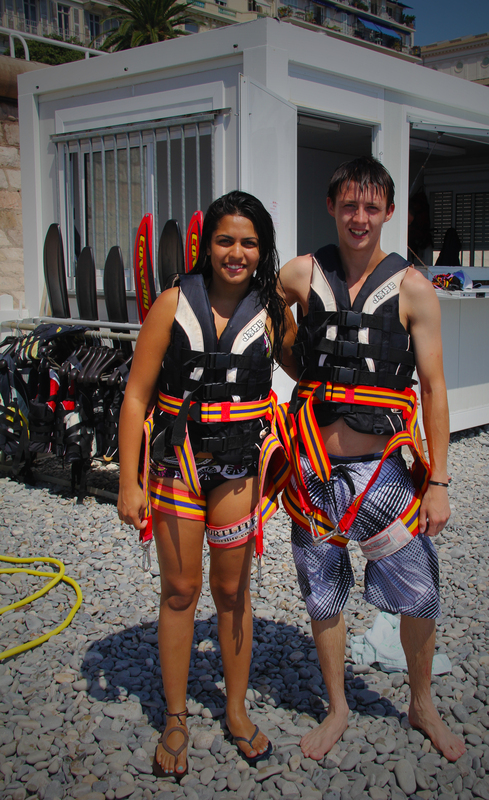 Parasailing is great. I watched it long time in Thailand. 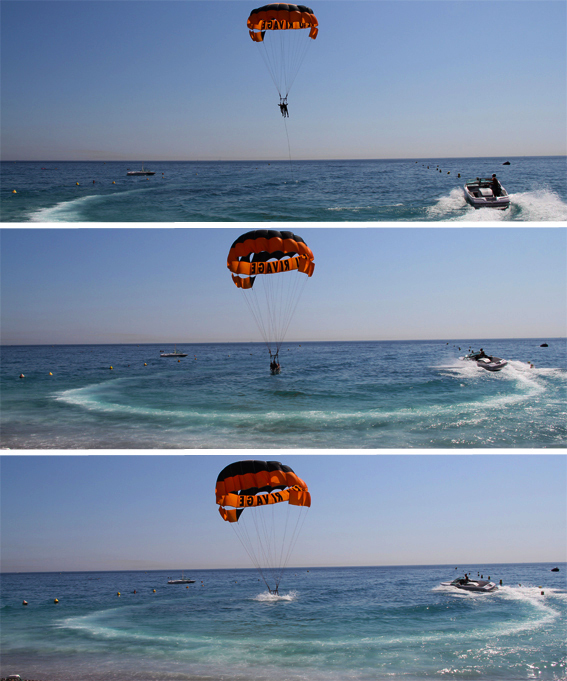 I wanted to parasail in Thailand when I went this Spring but didn’t do it for some reason. 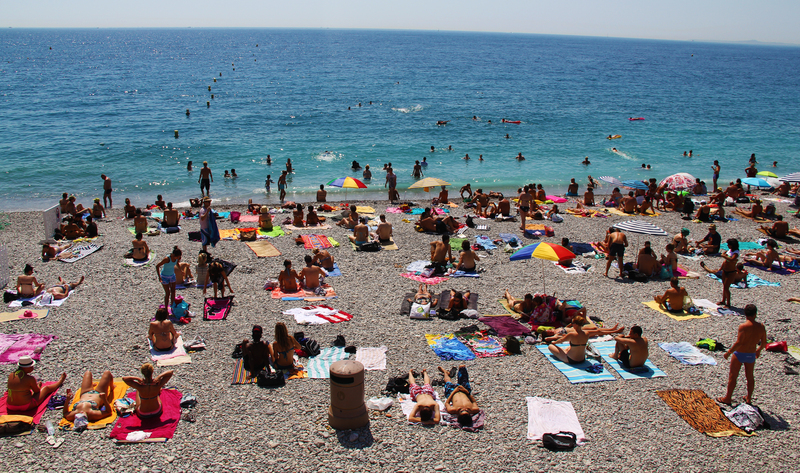 It was so worth it in beautiful Nice though. Some really beautiful shots here, Ms. Adventure. Looks like an awesome experience — i want to try it out one day!! !